In her imaginative second novel, an unusual love story, the highly acclaimed author of Elsewhere offers a unique exploration of teenage identity and self-discovery. The heroine, a teen who is forced to re-invent herself and reconstruct her life after she suffers a head injury that leaves her with a four-year memory loss, grapples with many issues teens will find familiar: romance, changing friendships, and a dysfunctional family. 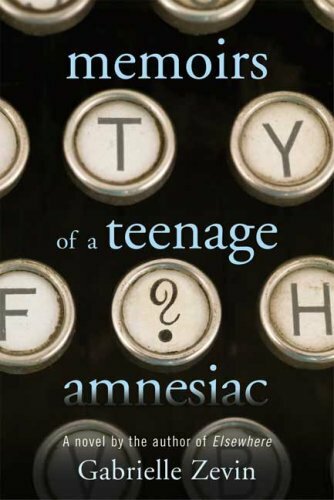 But this teen s amnesia gives her the perspective to see herself and others clearly for the very first time. At times funny and always thought provoking, this tale effectively touches upon themes of chance, loss, and choice, in a moving story readers won't soon forget. This sounds really good. I guess part of that is me loving the cover... te he he. i've read elsewhere and it was amazing. I have read it...if you liked Elsewhere, you will like MOATA. I fell in love with the cover. It is a very quick and easy read.